A bill that would extend levy authority for certain natural resources districts (NRDs) stalled on general file May 2. Introduced by Sen. Curt Friesen of Henderson, LB98 would extend the three-cent levy authority for NRDs located in fully or over-appropriated river basins from fiscal year 2017-18 to FY2025-26. The levy may be used only for ground water management and integrated management programs under the Nebraska Ground Water Management and Protection Act. Friesen said NRDs in the Republican River and Platte River basins have used funds raised with the levy to conserve water under state-mandated integrated water management plans. For example, he said, the Central Platte NRD used the levy’s proceeds to purchase surface water rights, a canal it uses to recharge the Platte and a hydrogeological study. If the levy is allowed to sunset, Friesen said, NRDs would have to increase their base levies or impose occupation taxes to pay for those projects. 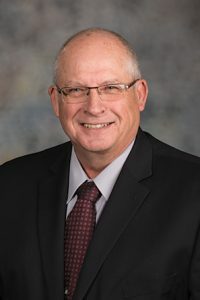 Sen. Dan Hughes of Venango supported the bill, saying that overdevelopment of irrigation in the Republican and Platte river basins has led to unsustainable water use. Extending the sunset would allow NRDs to reduce water use there so the basins are no longer fully appropriated or over-appropriated, he said. Sen. Mike Groene of North Platte opposed LB98, saying he could not support an extension of a property tax levy without a clear idea of how NRDs spend the money. “This body and the people need to have justification [for] why it needs to be extended and what they’re going to use it for,” he said. Also in opposition to the bill was Heartwell Sen. John Kuehn. He said NRDs have a 4.5-cent base levy and a 1-cent supplemental levy they can use for groundwater management projects. “The idea that this 3-cent levy authority being allowed to sunset as intended will somehow impair or impede water management in the state is simply smoke and mirrors,” Kuehn said. Sen. Steve Erdman of Bayard also opposed the bill and introduced an amendment that would end the 3-cent levy authority in fiscal year 2017-18. He said that would reduce property taxes while giving NRDs another year of taxing authority that they could use to fund water management projects. “If you are for property tax relief, you need to vote to let this sunset,” Erdman said. After three hours of debate on general file, Friesen filed a motion to invoke cloture, or cease debate and vote on the bill. The motion failed 31-9. Thirty-three votes were needed. The bill is unlikely to be scheduled for debate again this session.